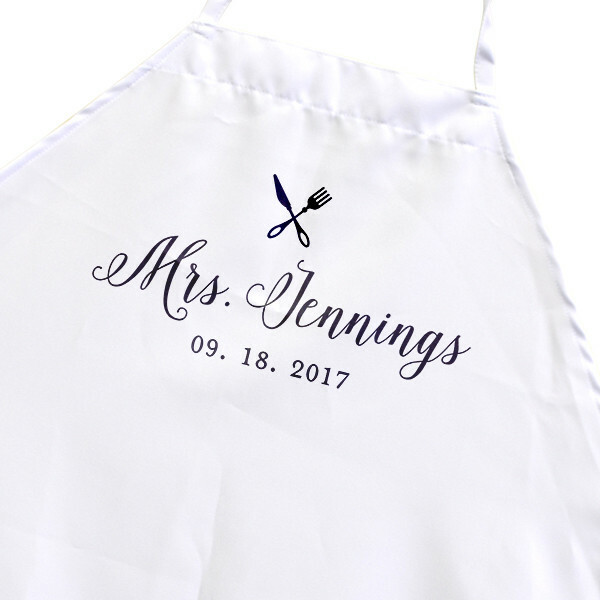 Add your new last name and wedding date, or customize this apron with any other two lines of text for a one-of-a-kind entertaining accessory. Whether you're customizing this apron with your once-in-a-lifetime date and new last name, or any other two lines of text, this classy apron is sure to make a statement. Now you can cook, clean, or tend the garden in style with your fun and functional personalized apron. Order now and it ships in 3 business days.